Friday 8 August, Radio 3, 10:15pm, Gregory Porter**** joins Clare Teal in BBC Proms 2014. The late night Prom is a Battle of the Bands. The Count Pearson Proms Band slugs it out with the Duke Pearson Proms Band. 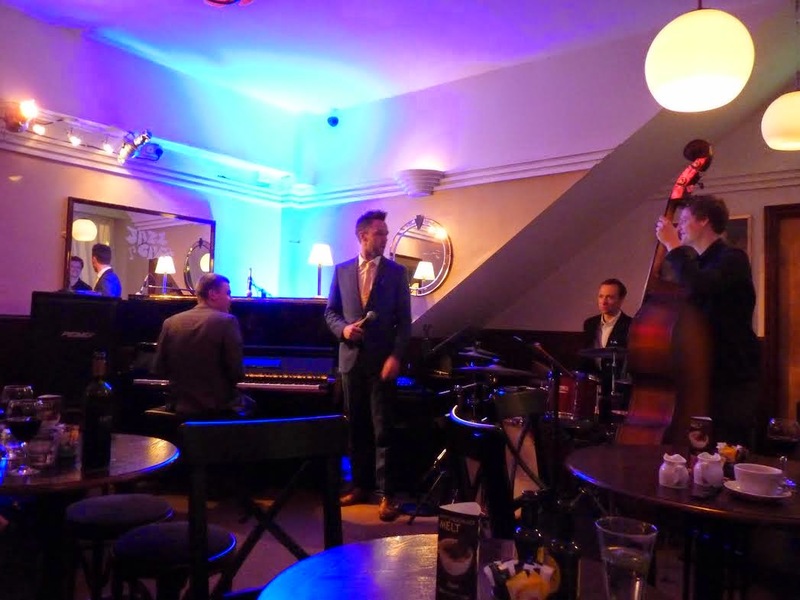 Pianist James Pearson’s day job as Artistic Director at Ronnie Scott’s takes a back seat as he goes into bat for Basie, similarly Clare Teal’s MD, pianist Grant Windsor, takes guard for Ellington. If you want to be there in person join the queue outside the Royal Albert Hall – admission is ‘on the night’ at £5.00. If you can’t be there, listen to Radio 2 or Radio 3, then on Sunday 17 August watch BBC television for a delayed broadcast of the occasion. 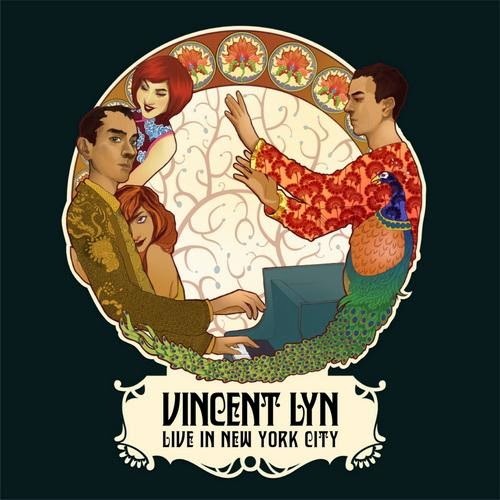 CD Review: Vincent Lyn - Live in New York City. Vincent Lyn (pno); Melissa Aldana (ten); Pablo Menares (bs); Shirazette Tinnin (perc). Vincent Lyn, I'm told, has been a movie star, pop music icon, kickboxing champion and one of the hottest male models in the world. But what, the blurb goes on, makes him complete is practising his family's Ling Gar style of kung fu. Jackie Chan called him "One of the best fighters I have ever worked with." A Ph.D in martial arts as well as a few kickboxing world titles in the 1980s is surely enough to prevent band members (and critics) saying "You played a bum note Vince!" On the strength of this album, recorded last year at Carnegie Hall, such a scenario is unlikely to arise. Brian Innes, amongst many other things, percussionist with the original Temperance Seven, died on July 14 age 86. Possibly the most unusual band ever to hit the pop and the jazz scene Innes himself remained a character even after death. At his request, the music played at the crematorium was Benny Goodman's Smoke Gets In Your Eyes! Raphaël Quenehen (alto & soprano sax); Quentin Ghomari (trumpet, trombone); Sebastian Palis (accordion, keyboards); Thibault Cellier (bass); Jérémie Piazza (drums). The city of Newcastle has quite an affinity with French players, the local football team seems to be made up almost entirely of French speakers. For the second time in almost as many weeks a band from across the water graced us with their presence and what a joy it was. The upstairs room at The Bridge was adequately filled but it should have been packed to the rafters for this wonderfully inventive and creative band. 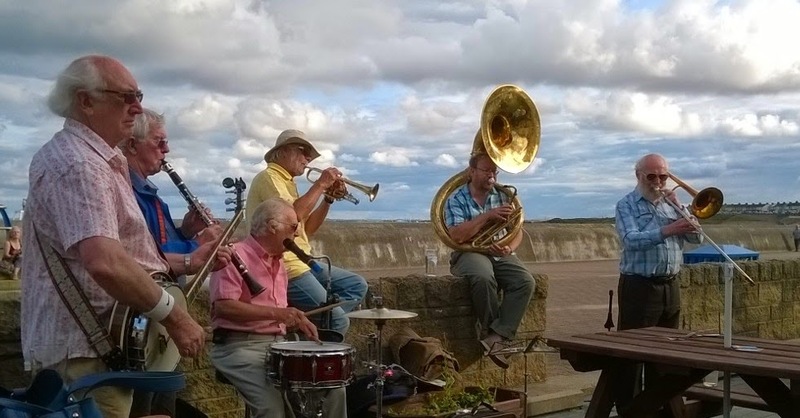 Sunday evening saw the Vieux Carré Jazzmen playing outside the Old Ship Inn, just along the promenade from the bandstand. Its not often they play outside but Brian's banjo blended well with Phil Rutherford's Sousa. The Old Ship was the pub where many years ago the late Ronnie Robinson played for a while with the then newly reformed VCJ. (If I remember correctly the band stopped playing for a while after "Gassy" died) A small audience of about 40 enjoyed a pleasant evening of old time jazz and ale. Lets hope the festival returns next year and is not just a "one off". Raphael Quenehen (saxes); Quentin Ghomari (tpt/tmb); Sebastian Palis (keys); Thibault Cellier (bs); Jeremie Piazza (dms). This isn't the official review of last night's gig - just a few observations! After spending the last three weeks watching Le Tour de France I couldn't not pick up on this visit, courtesy of JNE and Splinter, by the French band Papanosh. to Le Pont. I'm pleased I did. C'est magnifique is totally inadequate. This was Tres Formidable - Le Tour sans les bicyclette! The frantic ensembles - the mad dash for the line. The solos, the ascent of Le Tourmalet and the 80kph descents. The balladic moments - the sadness at the departures of Froome, Cavendish and Contador. The drum solos equated to the pile-ups. Vive Le Tour - Vive Le Splinter. Review by Steve H to follow! Composer of the Week (Radio 3, 12 noon, Monday to Friday) features Cole Porter. Throughout the week some of the great interpreters of his music can be heard including Bing, Billie, Ella, Frank and Fred. On Monday (July 28) Paul Jones (Radio 2, 7:00pm) includes a set by the Heritage Blues Orchestra. Later on Monday (Radio 3, 11:00pm) Jazz on 3 presents four emerging acts at this year’s Manchester Jazz Festival. At the end of the week In Tune at BBC at the Quay (Radio 3, Friday 1 August, 4:30pm) comes live from Glasgow. Gwilym Simcock is one of Sean Rafferty’s guests. Over on Radio 2 there is another chance to hear Friday Night is Music Night (8:00pm) originally broadcast in May as part of Radio 2’s guitar season. During the interval (8:45pm) Martin Taylor and Martin Simpson discuss their guitar heroes. Set your alarm or stay up all night to hear Insight – New Orleans (BBC 6 Music, 4:00am, Saturday), the musical story of the Big Easy. 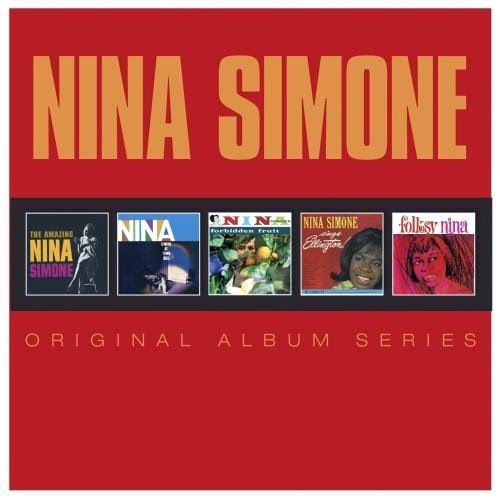 CD (s) Review: Nina Simone - Original Album Series. A fascinating and compelling documentary about the iconic saxophonist and flautist Charles Lloyd. Now one of jazz's elder statesmen, Lloyd's 1966 album Forest Flower was, like A Kind of Blue, a work that found its way into the lives and record collections of listeners outside of the jazz world. 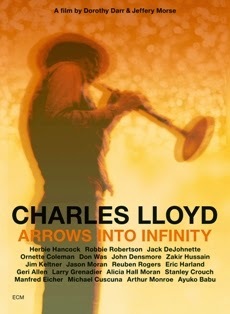 Arrows Into Infinity follows Lloyd, in his own words and through the words of associates past and present such as Herbie Hancock, Jack DeJohnette, Ornette Coleman (there's footage of them shooting pool together), Jason Moran, Eric Harland, Geri Allen and many more. Thomas Brown Affair @ Hoochie Coochie July 25. Kenny Thomas (vcl); Wayne Brown (keys); Frank Felix (bs); Sophie Alloway (dms). "It's not Jazz" said Warren as I propped myself up against a tall table. It was a sell out gig and high chairs had been removed to allow the audience space to breathe. A guy built like a BSH positioned himself in front of me so I relocated to a spot nearer the stage albeit further from the bar! As Warren said, it wasn't jazz. It was Soul, Funk, Rock it was... hang about, weren't Soul, Funk and Rock genres that had their roots in Jazz? If it wasn't Jazz, well, it was close enough for me and the London Jazz Festival where The Thomas Brown Affair (Wayne Brown, Kenny Thomas - get it?) are playing on November 21. More importantly, tonight they took Hoochie apart! Peter Gilligan (keys); Mark Williams (gtr); Paul Grainger (bs); Jeff Armstrong (dms). A funkyish set by four of the local favourites that deserved to be better attended raising the question as to why musicians don't support each other's gigs? If they did, surely it would create more work all-round? It's not just a north east problem, other promoters and bloggers around the country have made similar observations. Some aspiring musicians don't even show up at jam sessions! Think about it guys, you might even learn something, even if it's what not to do! Jazz Services has sent an open letter to Alan Davey re the recent withdrawal of their funding by the Arts Council. 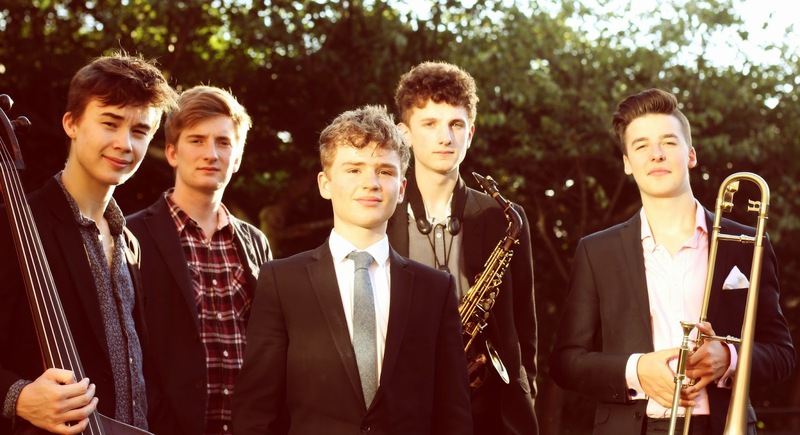 AN OUTSTANDING band of young musicians is being given the chance to make its name, thanks to a pioneering initiative by Jazz North, the organisation devoted to nurturing and showcasing talent. 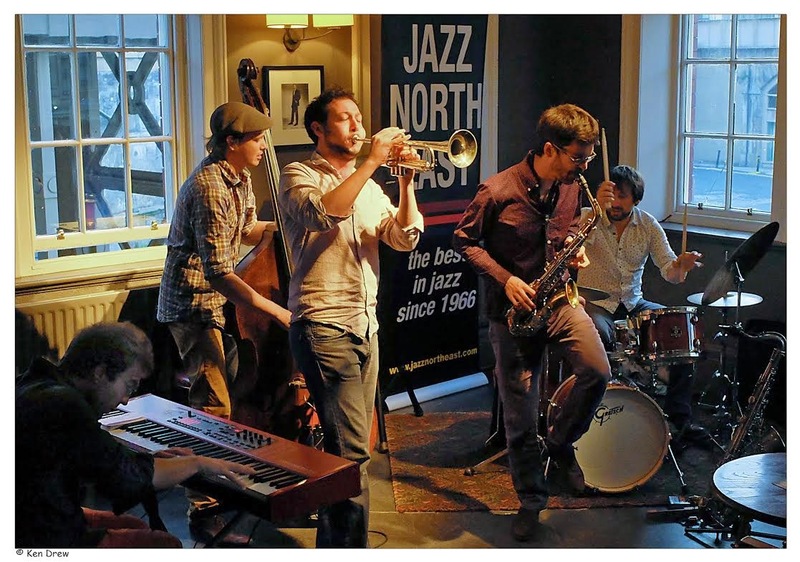 Jam Experiment, comprising five musicians from Manchester aged from 16 to 18 is the first beneficiary of the Jazz North Introduces scheme, which offers them high-profile exposure at leading jazz festivals in the north, along with help in promoting themselves. Jazz Café Jam. July 22. Steve Glendinning (gtr); Paul Grainger (bs); Paul Wight (dms). + Debra Mil;ne. Ann Alex, Ewa Szymczewska (vcls); Paul Scott (gtr/vcl); Paul Gowland (alt); Richard Herdman (gtr); Ray Truscott (bs); Johnny Davis (ten); Andy ? (ten) + ? (drums); ? (piano); ? (gtr) etc. The advertised Peter Gilligan was in Manchester so it was guitarist Steve Glendinning who took on the role of lynch pin 'twixt house band and jammers of which there were an abundance tonight. The room too was crowded and the atmosphere was as sizzling as the setting sun outside. Too much to recall in detail. 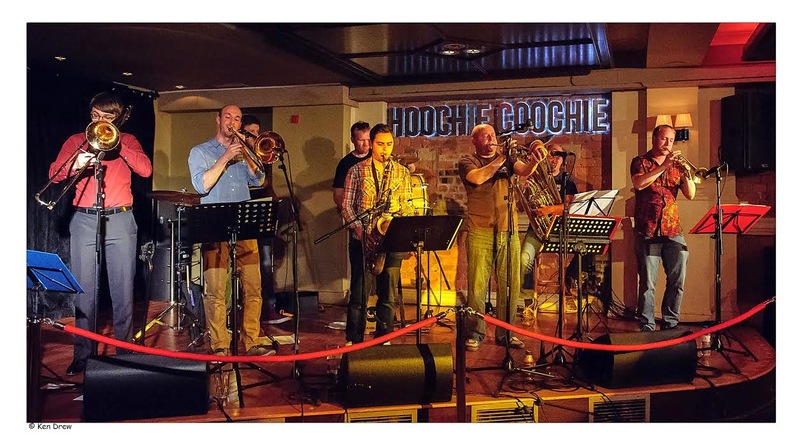 The Playtime team, who stage weekly jazz sessions at the Outhouse in Edinburgh, have announced an expansion of activities during the city’s Fringe festival. Beginning with pianist Dave Milligan on Monday August 4, guests including saxophonist Julian Arguelles, organist and former Young Scottish Jazz Musician of the Year Pete Johnstone, and bassist Brodie Jarvie will feature in a programme that runs until August 21 in the Outhouse’s congenial, intimate loft. Situated just round the corner from the city centre terminus of Edinburgh’s new tram system, the Outhouse has proved a popular Fringe jazz venue over the past few years, with American singers Barbara Morrison and Lillian Boutte among those who have enjoyed successful residencies there, and the Playtime series will supplement similar residencies this year with early evening and late-night concerts. Noel Dennis & Friends @ The Cherry Tree July 21. Noel Dennis (tpt/flg); Jeremy McMurray (pno); Neil Harland (bs). "I'm in a Chet Baker mood tonight" said Noel. "Really?" I replied, hardly surprised - Chet is his alter ego. Indeed I sometimes wonder if Noel isn't a younger, cleaner living, relation of Chet's!. Tonight was an absolute gem of jazz chamber music. 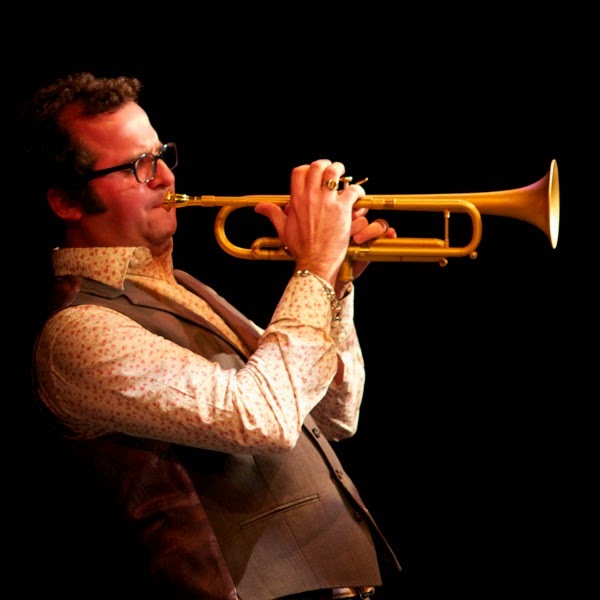 Noel is the only brass man I know who sounds as cool on trumpet as he does on flugel. There is no Greater Love and the Lincolnshire Poacher & Spinach Soufflé was my delight this Monday night followed by Four, a Tom Harrell number. and Beautiful Love which summed up the Chargrilled Bistro Rump Steak with Peppercorn Butter and Traditional Steak Garnish. Everything Happens to Me and Freddie Freeloader rounded off the set although I was far from feeling any kind of blue - how could I after Sticky Toffee Pudding, Caramel Sauce and Vanilla Ice Cream? Not to mention the superb playing of these three aces. 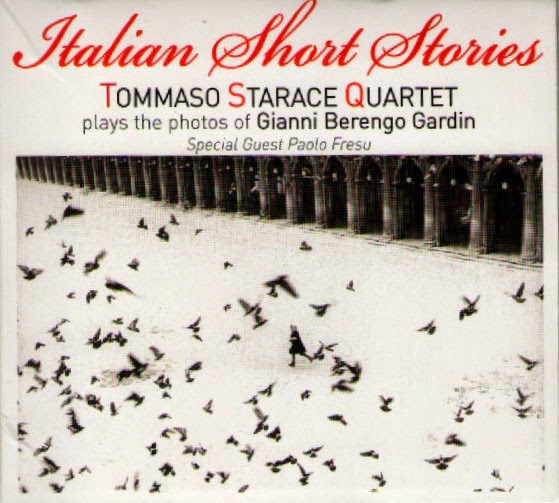 CD Review: Tommaso Starace Quartet - Italian Short Stories. Tommaso Starace (alt/sop); Michele Di Toro (pno); Attilio Zanchi (bs); Tommy Bradascio (dms) + Paolo Fresu (tpt/flg - 4 tracks). 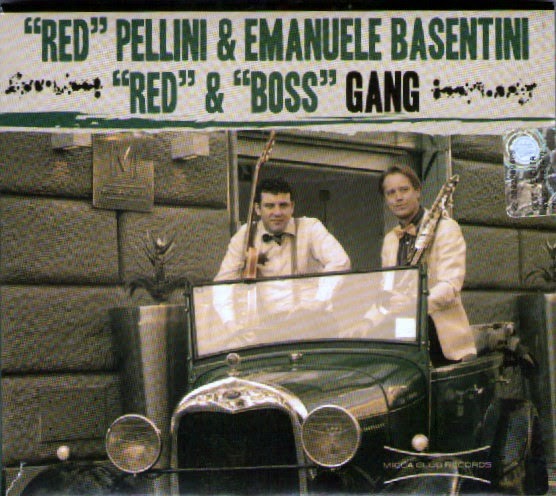 After writing yesterday in favour of American jazz, along comes this one from Italy that compares favourably with just about anything I've heard Stateside in recent years. Subtitled "Plays the photos of Gianni Berengo Gardin", Starace's inspiration is the black and white photos of internationally renowned Italian photographer Gardin. Those who heard Starace and Di Toro at the JNE promoted gig at The Chilli in May 2011 will know that quality is the name of the game here, even if it is totally different from that momentous evening. The weather forecast for Sunday afternoon at this year’s Americana Festival was so much better than Saturday’s rain-interrupted affair. Noon. A dog day afternoon - hot, humid, an expanse of blue sky over Sage Gateshead. Folding tables and chairs, picnic baskets, rugs, a chuck wagon to feed a Confederate platoon and beer a-plenty to wash it all down. The pick of the day’s action scheduled at either end of the day suggested a split shift visit to the pub was in the offing for your Bebop Spoken Here correspondent. Fickle Lilly are a busy band gigging around the north east. Making a return visit to Gateshead, their early start (and early finish) enabled them to head north to play a set later in the afternoon at a blues festival in Wooler. 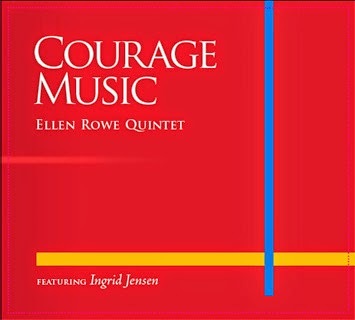 CD Review: Ellen Rowe Quintet - Courage Music. 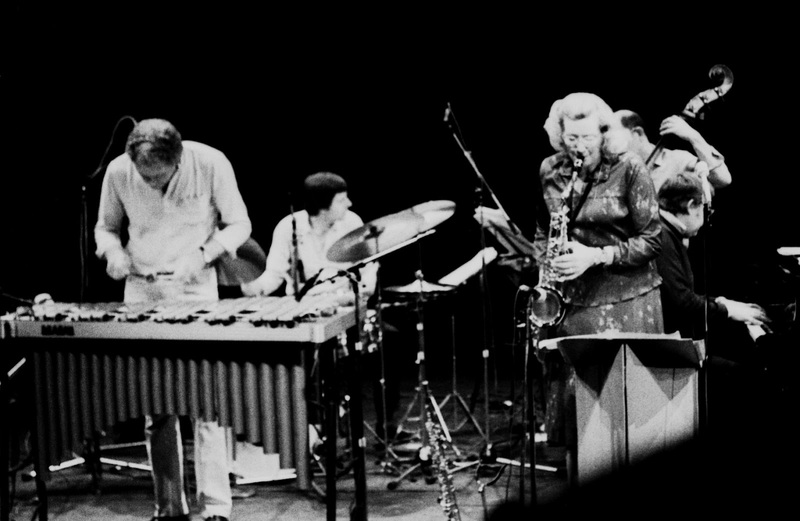 Ellen Rowe (piano/comp./arr); Andrew Bishop (ten/clt); Ingrid Jenson (trumpet/flug); Kurt Krahnke (bass0; Pete Siers (drums). + Paul Ferguson (trombone); University of Michigan Chamber Jazz Ensemble. One of the beauties of the internet and blogs such as this is that, although Bebop Spoken Here began as a hub for happenings in the north east of the UK, such is the universality of cyberspace that borders cease to exist. For all we know, the Vieux Carré Jazzmen may well have followers who really do know what spring is like on Jupiter or Mars - one local jazz person has, I'm told, already suggested them for a tour of those very planets. Lots going on at Newbiggin by the Sea next weekend. Thanks to John Taylor for bringing it to my attention. The weather forecast spelled the end of the world. The Jumpin’ Hot Club’s outdoor stage at Sage Gateshead could be blown down the banks of the Tyne and swept out to sea. The prospect failed to deter the hordes determined to sample all things Americana. The arena to the east of Sage Gateshead – Performance Square – offered little or no protection from the elements so the ubiquitous Stetson could come into its own. 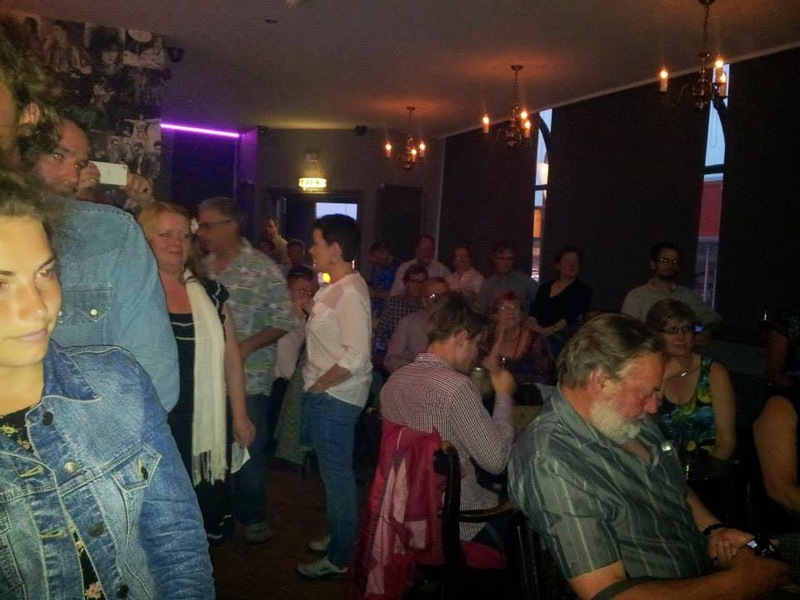 Couldn't make it to The Globe last night for the Jazz Co-op's first gig but, going by Debra Milne's photo on F/b, looks to have been rather busy. The choices last night were many - Opening gig at the Globe, Paul Edis at the Jazz Café, BBC Big Band at Durham or the Summertyne Americana Festival at Sage Gateshead. I opted for this latter event, not least because of the idyllic pre concert open air setting with bands playing on Performance Square. In Hall One, Earl Thomas and the Royal Guard were billed as the support act and what a support act they were! With a powerful horn section, Nord keys and rhythm they lifted the roof. The charismatic singer dished out the soul as we closed our eyes and moved over to "The Motor City". An absolute gas! Steven Seagal and his Blues Band had it all to do but, as befits a Hollywood action legend and accomplished blues musician, he, with the help of Big Bill Morganfield (son of Muddy Waters) did it! Taking us from Chicago down to the Mississippi delta and back again. The Hall was heavin'! My only complaint, the back of stage lighting made it difficult to see the performers clearly. Still, hearing was what mattered and we heard! On this showing I think Seagal could give up the day job! The festival continues today and Sunday - saddle up the mustang, Sally. Dave Kerr, mastermind of the unique New Century Ragtime Orchestra, pulled off a coup in bringing to Tyneside not one but two virtuoso pianists. On a sultry summer’s evening his efforts were rewarded with the Caedmon Hall being full to capacity. A four hands piano jazz fiesta formed the centre piece of the programme. Stephanie Trick and Paolo Alderighi played two, three and four-handed piano (at times it seemed that six, seven or eight hands were on the keyboard such was the dazzling playing). Trick from St Louis, Missouri and Alderighi from Milan, Italy, first met in Switzerland at a gathering of some of the finest exponents of classic jazz piano styles and some six years on are touring the world with their ragtime, stride and swing era show. To one side of the piano a tripod-mounted camera focused on the keyboard projecting real-time moving images to a screen above the stage. This proved to be an excellent idea allowing all in the hall to see the two pianists’ hands working in tandem, often at bewildering speed. It’s big – 18 of the best jazz musicians in the region – and it’s smokin’ – mixing a deep reverence for the big band tradition with the immediacy of the 21st century to produce a truly classic yet highly contemporary sound. Make a noise about this and tell all your friends on Facebook. NOEL DENNIS with Jeremy McMurray (piano) and Neil Harland (double bass). One of the most iconic bluesmen died yesterday age 70. Johnny Winters was on tour in Europe and died in a Zurich hotel room. Included in Rolling Stone magazine's top 100 guitarists (63) Winters heavily influenced the career of Muddy Waters producing several of his later albums including the 1981 release King Bee. Jimi Hendrix, Bob Dylan, former lover Janis Joplin and The Stones were just some of the many whose lives intertwined with Johnny Winter. 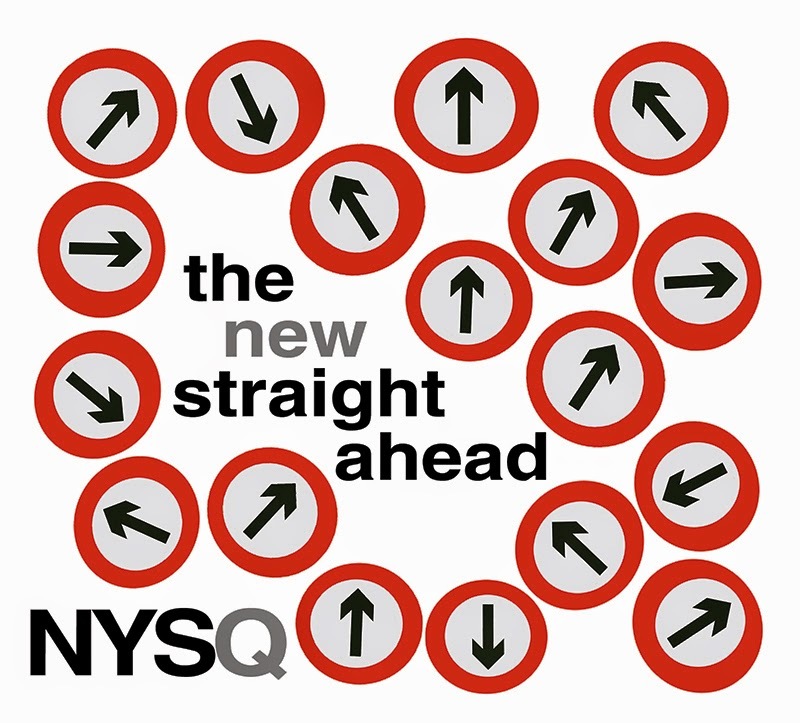 CD Review: New York Standards Quartet - The New Straight Ahead. Tim Armacost (ten/sop); David Beckman (pno); Daiki Yasukagawa (bs); Gene Jackson (dms). As the name implies, a quartet playing standards. So what's new? I hear you ask. After all, standard playing quartets are a dime a dozen. Well yes they are and no they're not! What I mean by that politician style remark is that, to quote a standard that isn't on the CD, 'Tain't What You Do It's the Way That You Do It. Pulcinella: Ferdinand Doumerc (reeds); Florian Demonsant (accordion); Jean-Marc Serpin (double bass); Frédéric Cavallin (drums). A packed to the rafters Jazz Café last night witnessed a mesmerising double bill from British trio Troyka and French quartet Pulchinella in a Schmazz/ Match and Fuse collaboration. Forget the Tour De France this was the Tour de Force. The first set was led out by Troyka featuring returning Geordie guitar hero Chris Montague. .
Montague explained that since childhood he has suffered from Ornitholobia (fear of birds) after an unfortunate encounter with a dead seagull on a beach . It was this fear that inspired several of the tunes performed. The band really hit a groove moving through all the gears with their high energy rocky, bluesy , electroniky brand of jazz. Kit Downes on keys and Josh Blackmore on drums blended seamlessly with Montague on guitar and loops. The set finished to rapturous applause and I was left wondering how the next band could possibly be anything other than an anti-climax? Talking to Paul Ennis at Jazz Café the other night caused me to check out Michael Franks again - he is one of the most underrated singers ever. Review from last year. 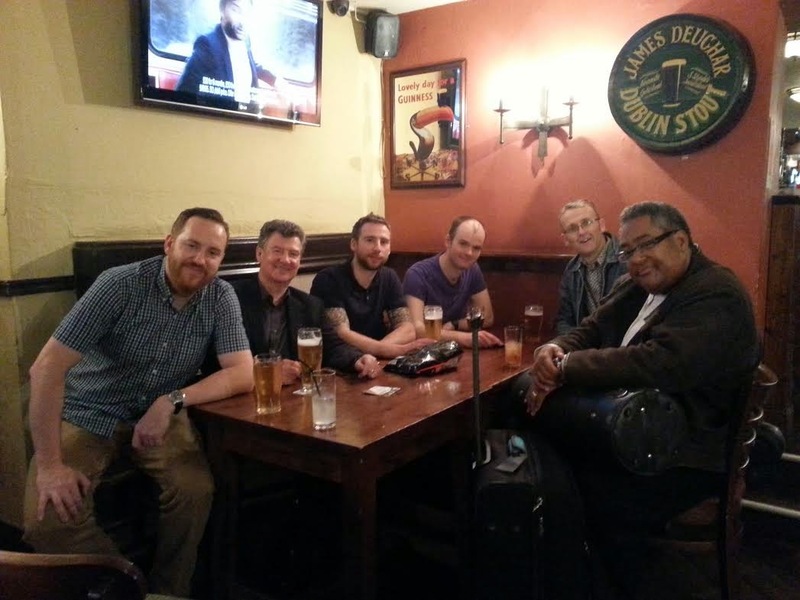 Jon Faddis (tpt); Chris Hibbard (tmb); Graeme Wilson (ten); Paul Edis (pno); Andy Champion (bs); Adrian Tilbrook (dms). It had been many years since I'd heard the late Dizzy Gillespie - until tonight that is! In the form of Jon Faddis Dizzy was alive. The falsetto singing, the corny jokes and, most of all, the fantastic trumpet playing! Faddis starts his solos where mere mortals aim to finish i.e. those rarely explored notes that dwell above and beyond top C! However, the visiting American has more than one metaphorical string to his bow. An impressive West End Blues revealed a sound that was big, bold, and brassy, filling every corner of the hall. In a sense Faddis is a throwback to that golden age when jazz musicians weren't just that - they were also entertainers and tonight our man entertained. Zoe is the daughter of a great local musician/arranger, the late Mike Gilby. She is a superb singer, now with a national profile and playing at jazz clubs and fests all over the UK. She is increasingly invited to sing abroad too - recently to much acclaim in Finland along with her quartet and in Ukraine with a local rhythm section. Supported by her all-star band - Mark Williams gtr, husband Andy Champion double bass and Richard Brown drums. As Lindsay Hannon remarked on Facebook, I've always been a "Staunch supporter of Geordie Jazz." Brewed by Hadrian Breweries and exclusively (I'm told) available at the Jazz Café. The third International Print Biennale is on now at twenty five venues throughout the north east of England. The Hatton Gallery, located in Newcastle University’s Fine Art building, hosts the International Print Awards, the centerpiece of the Biennale. Over seven hundred artists submitted work and a selection of the best is on show alongside the work of several invited artists. Bob and Roberta Smith (aka Patrick Brill) exhibit a 2011 portfolio Feminist Icons. A series of ten lithographs, two of the iconic figures are Bessie Smith and Billie Holiday. The exhibition ends on Saturday 9 August. Orphy Robinson and Pat Thomas formed Blacktop in 2011. 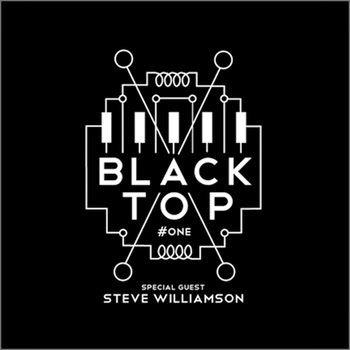 A duo with invited guests, the CD # One features the tenor and soprano saxophones of Steve Williamson. Recorded ‘live’ at an accommodating London venue – Jazz in the Round @ The Cockpit Theatre – the trio set is a first rate example of freely improvised performance. Williamson’s playing – tenor or soprano – has a wistful, distant quality, dropping in and out, swirling around Robinson’s marimba and variously responding to, then avoiding, Thomas’ computer generated beats and tumultuous piano playing. Ferdinand Doumerc (saxophones, flute & metallophone), Florian Demonsant (accordion, kaval), Jean-Marc Serpin (double bass & metallophone) & Frédéric Cavallin (drums, metallophone & glockenspiel) + Patrick Vaillant (mandolin) & Daniel Casimir (trombone). Pulcinella are based in Toulouse, France. On the road the band comprises four musicians, on Bestiole there is the addition of two musicians (Patrck Vaillant – mandolin and Daniel Casimir – trombone). 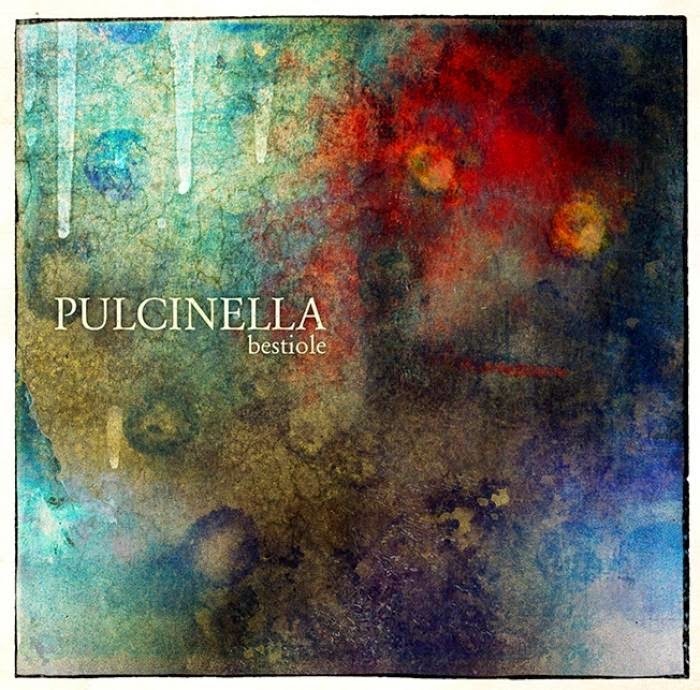 The CD, Pulcinella’s third, is an eleven track journey across such a diverse musical landscape it is difficult to categorise. 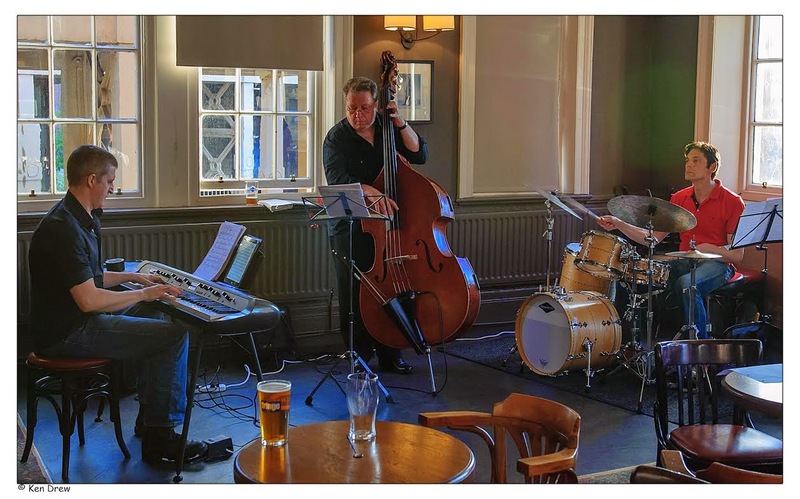 Paul Edis (piano), Paul Susans (double bass) & Rob Walker (drums/glass). Having just returned from a trip around the south of Italy which was big on scenery and art but with some so-so food and completely free of live jazz, a trip to the Cherry Tree seemed a very good way to fill these gaps. The band was advertised as the Paul Edis Trio, which is always a good session and even though it turned out not to be that Paul Edis Trio, I was equally happy to discover it was another Trio with Edis called Triptych, as I'd read about this group but not heard it. Colin, Our Man in Hong Kong, presented me with this superb tribute to Bix recorded by a group of Italian musicians. The tunes may be Bixian but the approach is more of a mid to late thirties Harlem small group which, with hindsight, could well have been a logical progression for Bix had he not died so young. Sure, they're playing well within the idiom, the difference being these guys have got a rhythm section that swings. Plus the solos are more modern. Not bebop and beyond modern, but late 1930s small group swing - imagine Bix ten years on with say, Chu Berry or Benny Carter and you'll get the idea. Just a reminder of some of the jazzier moments ahead in this year's Brass: Durham International Festival. Tuesday July 15: JON FADDIS w. the ANDY CHAMPION QUINTET - Gala Theatre. 7.30pm. £12. Unbelievable opportunity to hear incredible trumpet player. To the best of my knowledge this is his first ever appearance in the north east and, outside of a reincarnated Dizzy Gillespie Band, I can't think of better company for him to be in than the Andy Champion Quintet. Unmissable. Friday July 18: The BBC BIG BAND - Gala Theatre. 7.30pm. £25/£23 (conc.) £20 (Gala Friends). Over the years the BBCBB has become as legendary as its predecessors, The NDO, The Radio Big Band and the BBC Show Band. Duke Ellington could well have written It Don't Mean a Thing if is Ain't Got That Swing with the BEEB's flagship in mind. 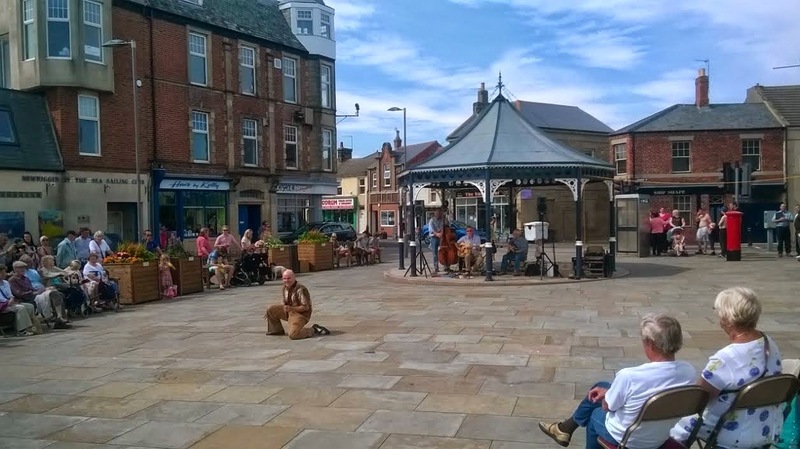 Friday July 18: KING BEE - The Witham, 3 Horse Market, Barnard Castle. 8pm. £10/£8 (conc.). Top funk soul band with 3 piece horn section. There is, of course, much, much, more music across the genres, these are just my personal faves. The Off Key Big Band @ St Oswald's Church, Hebburn. I can't remember the last time I heard a big band concert in Hebburn so tonight's performance in St Oswald's Church by the Off Key Big Band was, I suppose, a first. They're a relatively new band who hold a weekly rehearsal in the church and I think it's fair to say they are still finding their feet. However, their enthusiasm is infectious and they totally captivated the audience who were "of a certain age." More details on purchasing CD here. PS: Or catch the band live at Woodhorn Country Park nr. Ashington this afternoon at 1pm. Only last montth I reviewed his duo album with Keith Jarrett - ironically titled The Last Dance - never dreaming he had so little time left with us. Forever remembered as the leader of the New Liberation Orchestra, one of the world's greatest bass players as been, finally, liberated. Paul Skerritt (vcl); James Harrison (dms); Anth Ord (bs); Dave Donnelly (dms). (Review by Lance/Photos by Paul Ennis). This was a gig for all seasons. Paul Skerritt can work a room with the skill of a Las Vegas entertainer and he had those present in the palm of his hand. He sings, he swings, he ring-a-ding dings. Old Blue Eyes ain't dead - he just moved to the north-east absorbing a bit of rock 'n' roll along the way. At the end of his 1950's recording of Prologue Stan Kenton proclaimed, "This is an orchestra!". 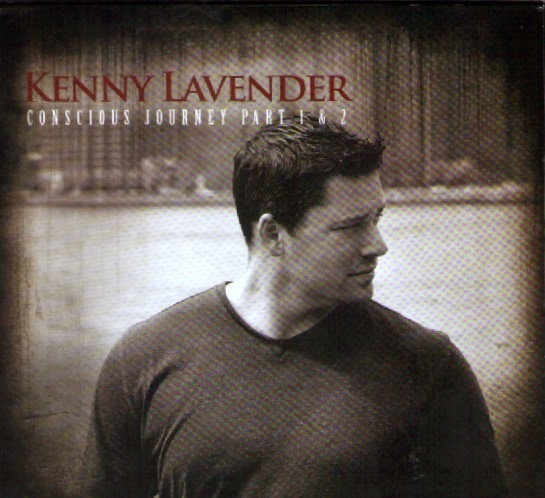 Kenny Lavender could well have done the same here on this double CD for this is indeed an orchestra comparable with any of the big bands of the past 60 years. At times the brass do have a suggestion of Kenton and the reeds an occasional nod to Woody but, by and large, this is very much a contemporary outfit reminiscent of, say, Jones/Lewis or Rob McConnell or maybe Bob Florence. The sun shone, the people listened (and clapped sometimes) as we played beside the sculpture in Gateshead shopping centre. ‘We’ are the drummers from the Sage Silver Programme, entertaining with African and Samba drumming. As I’ve said before on BSH, this type of activity can’t do your jazz skills any harm, learning rhythms and sequences, and working as part of a group. I thought I detected some improvisation from the samba group, as well! More about that later. "Ned Kelly's Hot Shots" @ The Millstone, South Gosforth. Colin Aitchison (tpt/vcl); Franco Valussi (clt); Barry Soulsby (clt/alt/vcl); Laurence McBriarty (tmb); Brian Bennett (bjo/vcl); Bill Colledge (bs); Fred Thompson (dms). (Review by Lance/photos by Jeannie Aitchison). With the majority of the band sporting Ned Kelly * tee shirts, the Vieux Carré Jazzmen became, for this week only, "Ned Kelly's Hot Shots". And "Hot Shots" they were with Valussi and Aitchison (AKA "Our Man in Hong Kong") leading the line. Italian born Valussi, resident in Hong Kong since 1995, spent much of his early working life as a successful cartoonist before 'kicking old Buddah's Gong" and settling in Hong Kong. Regrettably we didn't get to hear his tenor playing on this trip but his clarinet playing proved him to be a top class stylist with more than a hint of BG in his solos. Jaclyn Guillou (vocals); Bram Weijters (piano); Piet Verbist (bass); Toon Van Dionant (drums). 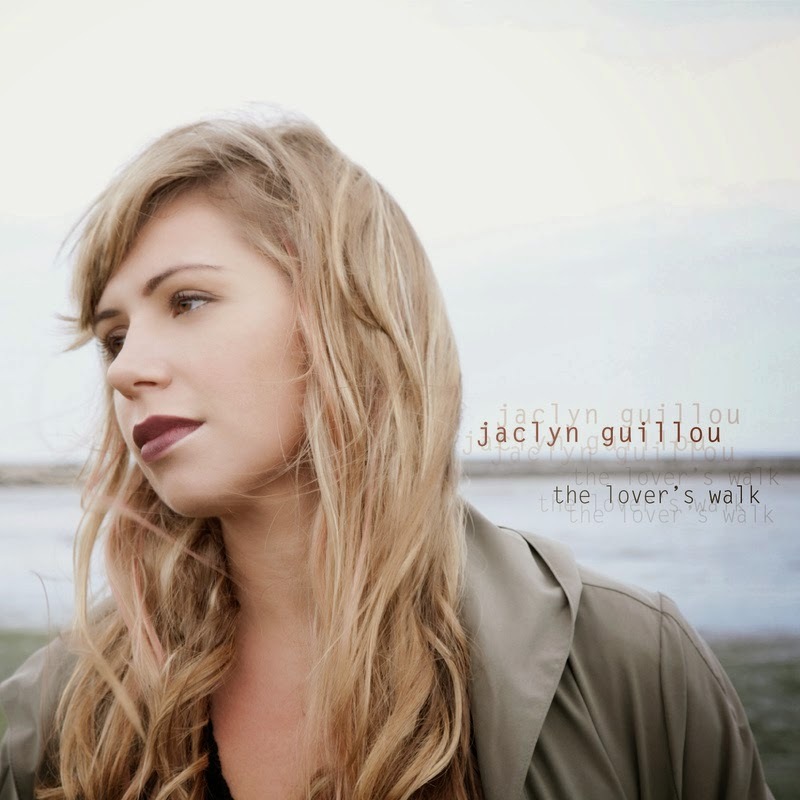 Jaclyn Guillou hails from Canada and this is her second album. All the songs were written by Ms Guillou with the exception of Restless and Burning Question, for which the pianist wrote the tunes. Three of the 7 tracks are noted on the insert as ‘recommended’ which I thought was odd, as surely the producers of a CD should recommend all the tracks! The Jason Isaacs concert scheduled for Friday July 18 at the Barbican in York has been postponed. Hopefully a new date will be arranged soon. 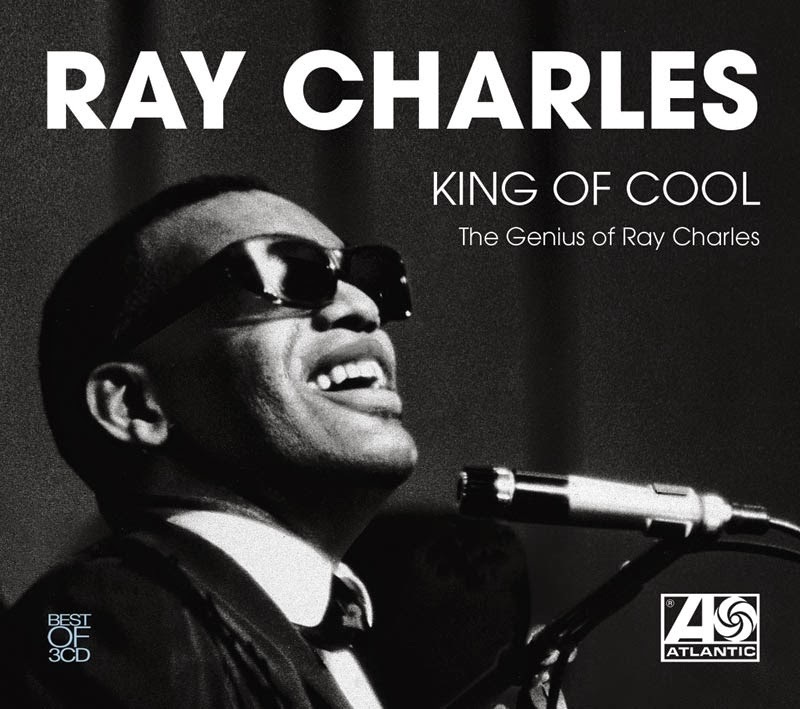 Ray Charles (pno/vcl) + various line-ups. What'd I Say? What could I say? 73 tracks spread over 3 CDs covering a period from 1952-1961. They dubbed him "The Genius" and when it came to blues and soul and rock and jazz it was a fair description! The voice was smooth enough to reach the outside world but raspy enough to satisfy the inner circle of the cognoscenti whilst Charles' piano playing was more than that of just another 12 bar bluesman. 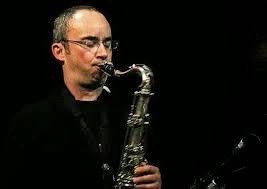 The first in a new monthly workshop session at the Jazz Café curated by (in old money ‘led by’) bassist Andy Champion with sparring partner for the evening Wes Stephenson (drums), the question uppermost in the mind: would anyone turn up? They did, faces old and new. The jazz faces were there, so too some non-jazz faces. Chris Hodgkins response to Jazz Services meeting today. Jazz Breakfast has circulated Chris Hodgkins' response to the Jazz Services meeting being held today in London. Interesting to read the low percentage of funding allocated to the North East and Scotland. Lit and Phil Jazz Series – Autumn 2014. All the above concerts are 1-2pm, £4 at the box office. Two good sets, full of energy and fun and DRIVING RHYTHM !!! And they played all 6 tracks from their newly launched CD. One photo is as per usual, the other is whilst playing ‘Star Wars’ – they take the music seriously and make them fun too – quite an impact !! 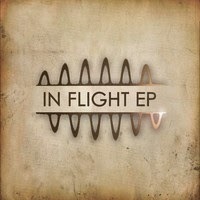 YouTube video of the Slowlight Quartet's recent launch of their EP In Flight. 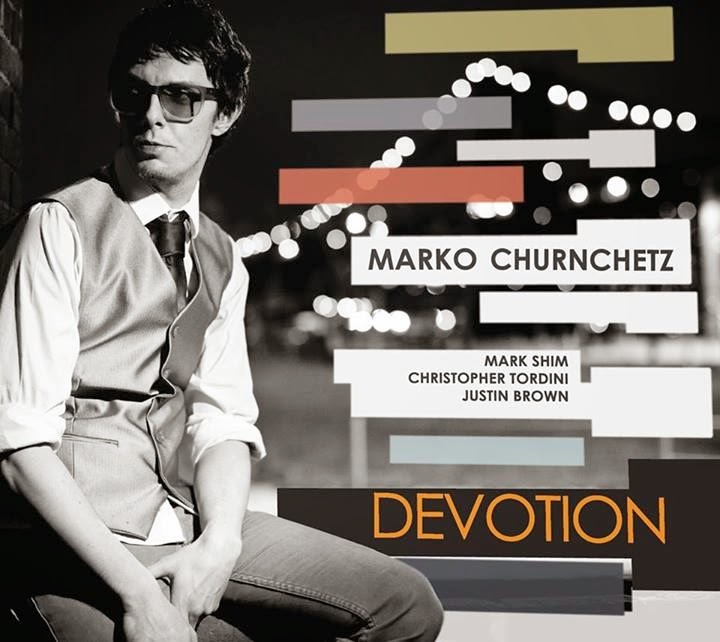 Thanks to Ian "Dodge" Paterson for sending this clip -In Flight. .
CD Review: Marco Churnchetz - Devotion. Marco Churnchetz (keys); Mark Shim (ten/midi controller); Christopher Tordini (bs); Justin Brown (dms). Churnchetz hails from Slovenia where he's built up a formidable reputation and, more recently, also made his mark in New York City. Devotion, his début album on Whirlwind, is quite a beautiful lyrical selection of his compositions. Johnnie Gray and His Band of the Day was a name that enlivened the airwaves of the old BBC Light Program. A fine tenor player who played with many name bands, both before and after the war, including Ted Heath before eventually forming his own band. Various reports refer to him as retiring to Sussex and the South of France although I seem to recall Hong Kong being mentioned. Perhaps our man Colin, currently over here, can shed some light. Johnnie Gray was 94 - may he Rest In Peace, or, more likely, continue to raise hell! (Review by Russell/photo courtesy of Colin Aitchison). 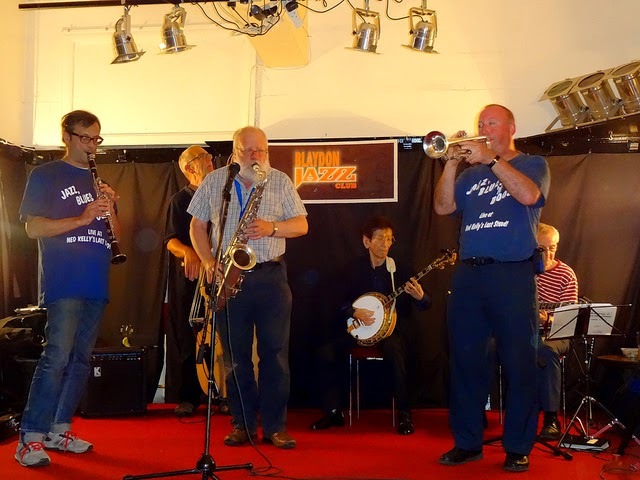 On a warm summer’s evening Blaydon Jazz Club hosted an international all star session. The Black Bull on Bridge Street welcomed musicians from all four corners of the world. The Swing City Trio (hailing from Tyneside, Cumbria and Gloucestershire) were joined by friends from Hong Kong, Italy and Japan. 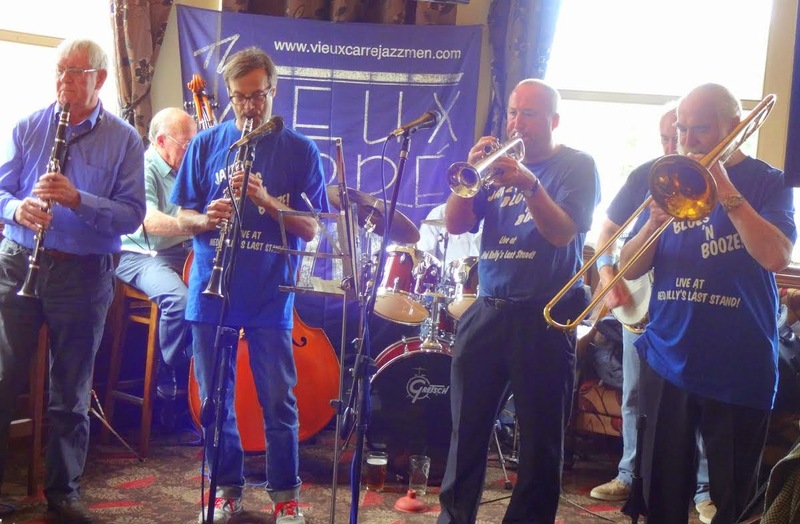 Blaydon Jazz Club added an extra date to the July schedule to secure an appearance from ex-pat trumpeter Colin Aitchison. The Hong Kong-resident Geordie bon viveur arranged a week’s worth of gigs at watering holes on his old stomping ground. He brought with him two musician friends from Kowloon – Franco Valussi (clarinet) and Kenny Sugawara (banjo). Just heard the sad news that Kathy Stobart died on July 5. Born in South Shields (1925) Kathy has always been held in warm affection by north east jazz fans starting her professional career with Peter Fielding's Band at the Oxford Galleries aged 17. Moving to London soon after she played in a variety of bands big and small. Married and divorced Canadian bassist Art Thompson and later trumpeter Bert Courtley with whom she briefly co-lead a modern sextet. Peter Gilligan (pno); Paul Grainger (bs); Jeff Armstrong (dms). After watching the spills and thrills of Le Tour making its way from York to Sheffield what better way to spend an evening than listening to the above three musicians who kept the Francophilian theme alive by sailing under Le nom de plume of Les Oiseaux Fois. Tres bien! Maillot Jaune et chapeaux! This was indeed a podium-worthy performance by a trio who should have been playing to a capacity audience. However, c'est la (jazz) vie. Tommy Andrews (alto/clt); Nick Costley-White (gtr); Rick Simpson (pno); Dave Manington (bs); Dave Hamblett (dms). 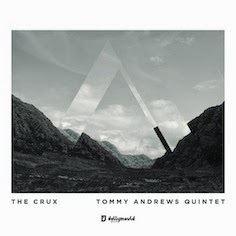 This debut album from up and coming reeds player Tommy Andrews is a fine effort. Andrews, whose interests outside music are particle physics and rock climbing, incorporates these twin themes into many of his compositions. I haven’t met the guy but he comes over as a cross between Professor Brian Cox, Chris Bonnington and the late Patrick Moore. Emma Fisk (Violin), James Birkett (Guitar), Giles Strong (Guitar), Mick Shoulder (Bass). 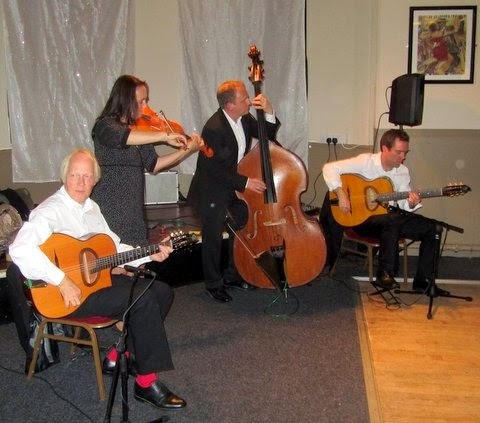 The spirit of Django and the flavour of the Hot Club de France returned to the AJC for the July meeting when the popular Djangologie took our stage to deliver a menu of exquisite music which appealed to the members' taste buds. 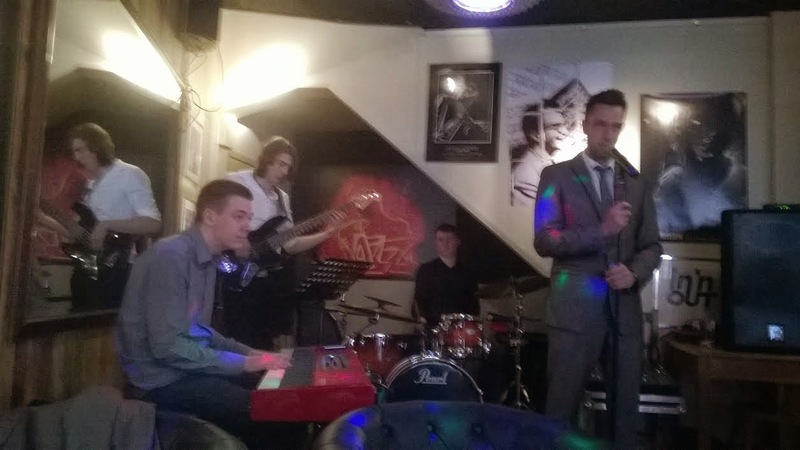 The popularity of this quartet attracted some first time visitors to the Elephant who were welcomed by the regular patrons and they did not leave disappointed. A good and lively audience warmly responded to the instrumental programme with passion and enthusiasm. Mick Danby wasn't just a fine bass player he also sang bass and applied his talents across the genres. Tonight that talent, and the love it engendered, was beautifully displayed in this tribute concert. Perhaps more of the jazz hierarchy should have been present but it didn't matter, the jazz side was well taken care of by the Debra Milne Ensemble with Debs, Steve, Paul and Rob Bates. Debra seems to have upped her game recently and her version of Spain stands comparison with anyone. Mick was surely applauding loudly from above. Earlier, Mick's partner Teresa sang with the Heaton Voices and the Voicequad Variations whose version of the Inkspots/Man Tran Java Jive ticked all the boxes for me! Emma Fisk ticked a lot of boxes too during her set with Luna De Mayo and, after the Appletwig Songbook, the evening came to a danceable close with Incahoots. The evening was a worthy tribute to a talented gentleman. Well the first stage couldn't have finished more dramatically with Mark Cavendish crashing in the final sprint. Looked like he could have broken his collarbone. Amazing to see such large crowds. 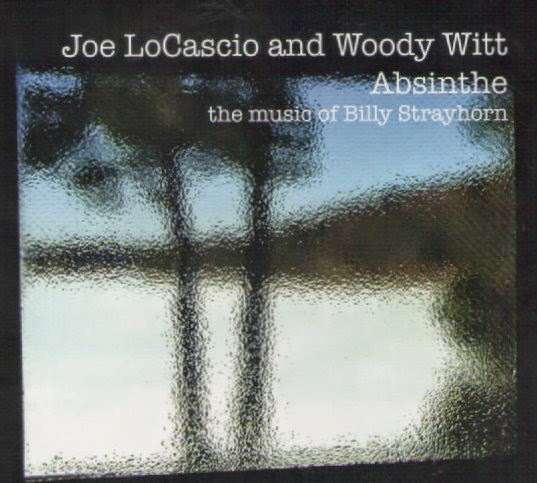 Joe LoCascio (pno); Woody Witt (ten/alt/sop). CDs land on my doormat in such profusion these days that I can no longer guarantee to find the time to listen let alone blog all of them which means I have to use my sometimes flawed judgement as to what is worthy of recommendation for our readers. So if you've sent me a disc and it's "missed the cut" my apologies. Robbie Williams @ The Arena. Just heard on the news that Robbie Williams fell off the stage at Newcastle's Arena, gave a woman a hi-five and broke her arm. What I want to know is, what was he doing on the stage in the first place? Isabel Stover (vocals); Jonathan Alford (piano); Fred Randolph (bass); Dave Tidball (saxopohone); Dave Bell (guitar). 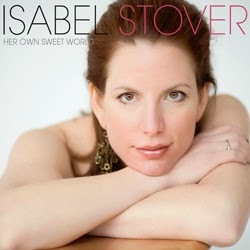 Isabel Stover has sung in musical theatre, funk, r&b, classical opera and a jazz choir, and that wide musical experience becomes obvious when you hear this highly recommended debut CD. And I’d guess that she can act as well, because she certainly brings out the full meaning of these songs in her richly textured voice. The death has been announced of flautist Paul Horn aged 84. Horn played tenor with Sauter-Finnegan then flute with the Chico Hamilton Quintet before moving into the Hollywood studios. In 1967 a visit to India saw him become a teacher of transcendental meditation resulting in him expanding his horizons beyond jazz into what he described as 'universal music'. Paul Horn died on June 29, circumstances not disclosed. EP Review: Katharine Timoney - Guilty Sin. Katherine Timoney (vcl); John McCullough (keys); Dan McGeown (bs); Marty McCloskey (dms). Katharine Timoney is an accomplished jazz and soul singer songwriter from Belfast. On this showing she deserves to be heard further afield than her native city where she is rapidly becoming well established at various clubs and festivals and on local radio. A raunchy, no nonsense voice - is it my imagination or is there a touch of early Amy in there?- whatever, Ms Timoney hits you from bar one! Apart from the voice (a little bit Bonnie Raitt in there too) McCullough's bluesy piano work adds to the ambience, McLoskey's drums suggest what River Dance might have been like if it had been created in Memphis or Detroit and, although McGeown's bass isn't immediately noticeable it would have been if it wasn't there! The songs are powerful, and yet quirky, recounting tales of tumultuous relationships, betrayal and desire. Experiences we all can relate to at some point in our lives. Timoney nails them! Guilty Sin is available to download on itunes and other sources. This article by former Horace Silver trumpet player John McNeil is quite a beautiful memory of an influential player. Thanks to Natty Goehring for sending the link. Need Your Love So Bad opened the show on a sweltering night at the Brandling Villa. Henry’s Swing Club house band the Lounge Lizards didn’t play too long, preferring a pint out of the spotlight. They hung around long enough to let Dave Heslop rattle the keys on Chuck Berry’s Reelin’ and Rockin’. Thinman (a thin man guitar and vocals fronted trio) played post punk tunes (including original material) with well crafted monotone vocals. Craft beers vied with local micro brewery favourites on the bar. Mordue IPA won hands down. Meanwhile, the main attraction (the reason to be in South Gosforth first Tuesday in the month) had arrived. Mick Cantwell (vocals and tenor sax) tore into Messin’ with the Kid backed by some smokin’ organ from Heslop. Stormy Monday Blues then Sonny Boy’s Help Me, then he was gone. Cantwell is the real deal, make no mistake. If he turns up next month – Tuesday 5 August – you will be amazed. Be there. Yesterday's publication of the inevitable, in the main, cuts to the funding of the Arts means that, as always there are winners and losers. Sage Gateshead seems to have been given a few lifebelts and Jazz North hasn't found itself paddleless however, without knowing the whole picture, I can't comment with any degree of accuracy. It would therefore be invaluable to hear the views of those involved in our area as to what the future holds in store for us. 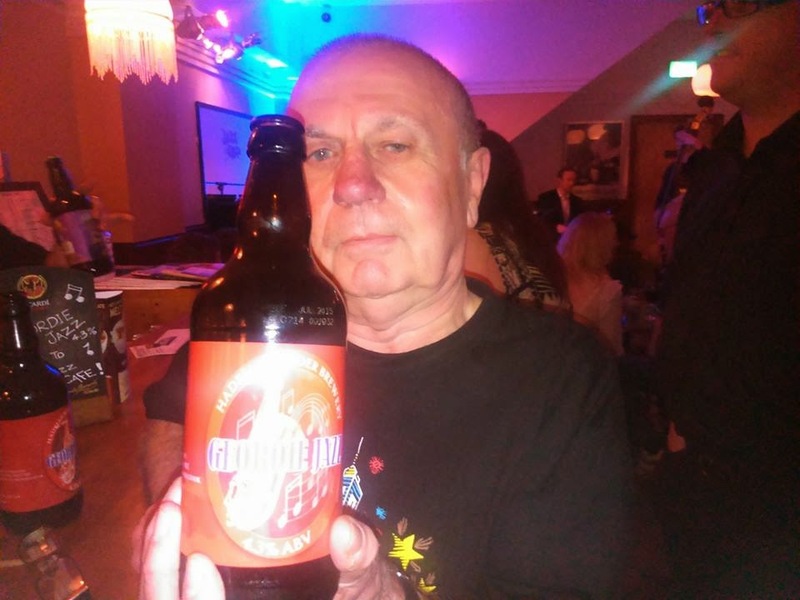 Peter Bacon asks similar questions - and explores the subject in greater depth than I feel qualified to do - on his Birmingham based blog the Jazz Breakfast. Peter Gilligan (pno); Paul Grainger (bs); Paul Wight (dms); Paul Skerritt (vcl); Josh Bentham (sop); Paul Gowland (alt); Ian Forbes (dms); Ray Burns (vcl/hca/gtr); Kath Jobes (vcl) + others. The Tuesday Jam at The Caff is a lovely way to spend an evening in Newcastle city centre. With the house trio setting the bar at a high level, it was good to report that most of the sitters in were up to the challenge. After Jarrett's Memories of Tomorrow and Beautiful Love, ace crooner Skerrett, aided and abetted by Josh Bentham on soprano sax stepped up and gave us Georgia on my Mind, Don't Get Around Much Any More and My Funny Valentine before Josh went it alone (w. trio) on Freddie Hubbard's Red Clay. A clarinet, an alto or three, tenor, whistle and voice, the range of instrumentalists in attendance at Paul Edis’ latest workshop session at the Lit & Phil, Newcastle. A note book (a scrap of paper) and pen (purloined from Paddy Power), yes, this is Gumshoe Bebop filing copy to Bebop Spoken Here’s news desk. What the Head Honcho (LL) will make of it is anyone’s guess. 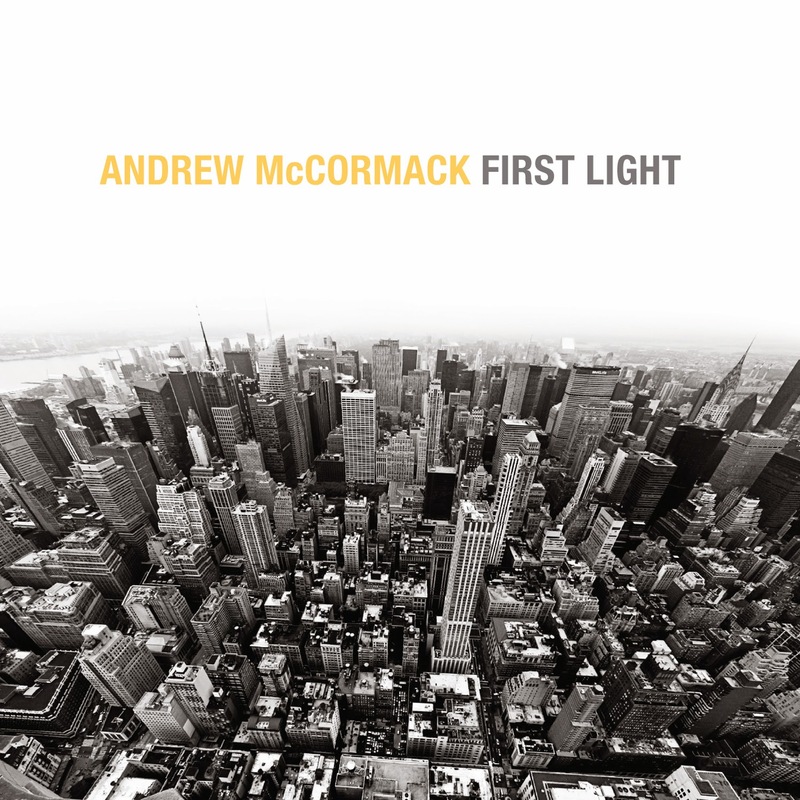 London born, New York based, McCormack is just one of the many UK pianists to make it across the pond (this month's New York Jazz Record favourably reviews a Dill Jones reissue from 1972) and it must be said that McCormack is a more than capable bearer of the torch handed down over the years by Marian McPartland, Shearing, Jones, Feldman and many others as this CD confirms.